Splurge on a really high-quality chocolate. It is the star of the dish. You won’t regret it. Lindt and Ghirardelli bittersweet chocolate are both excellent choices that can be found in most grocery stores. 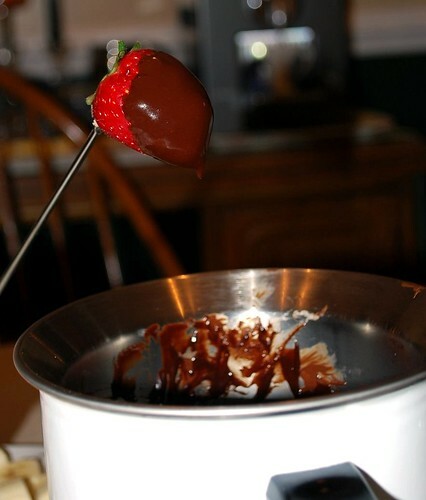 Keep the heat low so that your chocolate doesn’t scorch – When you transfer to your fondue pot, a votive candle works better than the fondue burner. 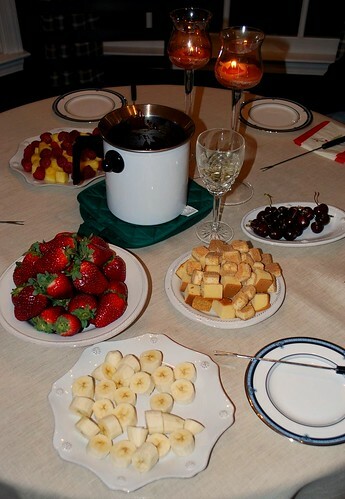 Make sure your saucepan and your fondue pot are clean and dry before you begin. 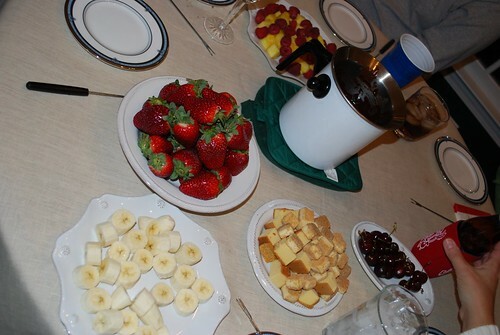 If you don’t have a fondue pot, then a double boiler works great (see pics). In a medium-sized heavy saucepan, heat the cream until very hot but not boiling. 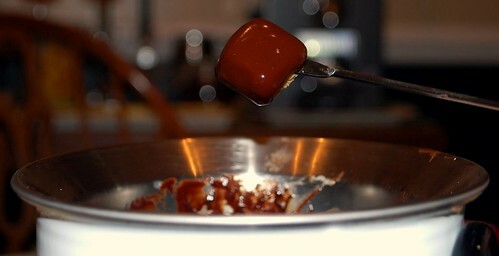 Remove from heat and pour in the chopped chocolate. 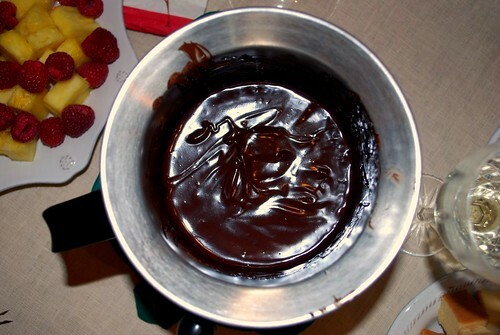 Let stand until chocolate is completely melted, about 3 minutes. Pour in the liqueur and whisk mixture together until smooth. Transfer to fondue pot or small chaffing dish, keeping warm over gentle heat. Serve immediately with fruit, cake, and other dipping choices!